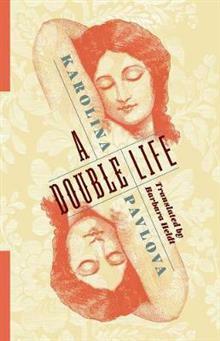 An unsung classic of nineteenth-century Russian literature, Karolina Pavlova's A Double Life alternates prose and poetry to offer a wry picture of Russian aristocratic society and vivid dreams of escaping its strictures. Pavlova combines rich narrative prose that details balls, tea parties, and horseback rides with poetic interludes that depict her protagonist's inner world-and biting irony that pervades a seemingly romantic description of a young woman who has everything. A Double Life tells the story of Cecily, who is being trapped into marriage by her well-meaning mother; her best friend, Olga; and Olga's mother, who means to clear the way for a wealthier suitor for her own daughter by marrying off Cecily first. Cecily's privileged upbringing makes her oblivious to the havoc that is being wreaked around her. Only in the seclusion of her bedroom is her imagination freed: each day of deception is followed by a night of dreams described in soaring verse. Pavlova subtly speaks against the limitations placed on women and especially women writers, which translator Barbara Heldt highlights in a critical introduction. Among the greatest works of literature by a Russian woman writer, A Double Life is worthy of a central place in the Russian canon. Karolina Pavlova, born Karolina Jaenisch in 1807, was a Russian poet and translator and presided over a famous Moscow literary salon. She died in Dresden in 1893, having abandoned Russia not because of tsarist oppression but because of hostile criticism of her poetry and her personal life. A Double Life is her major work. Barbara Heldt is professor emerita of Russian at the University of British Columbia. Her books include Koz'ma Prutkov: The Art of Parody (1973) and Terrible Perfection: Women and Russian Literature (1987).